Cyril Power was born in London. He was articled as an architect and worked for his family’s architectural practice as well as the Ministry of Works. In 1912 he published a three-volume work History of Mediaeval Architecture, illustrated with his own drawings. He studied at Heatherley’s School of Art in London, and in 1925 helped Iain MacNab establish the Grosvenor School of Modern Art. 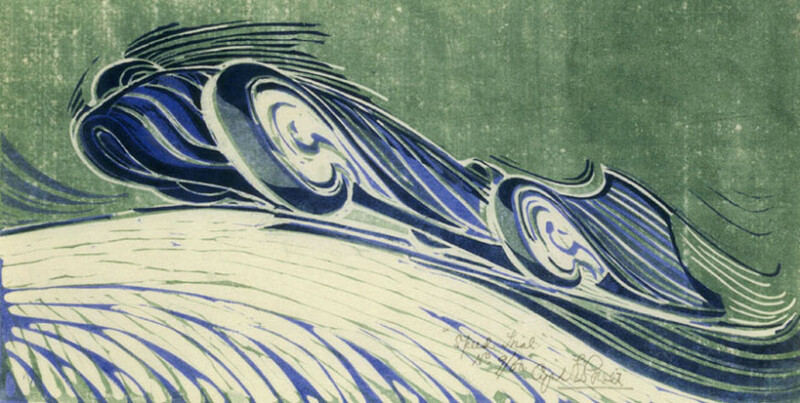 He made a number of drypoints and etchings in the 1920s, and was introduced to linocutting by Claude Flight. 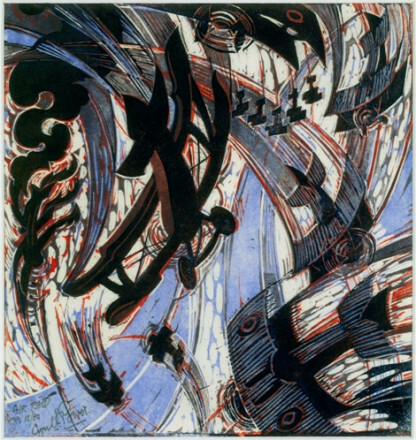 His work showed the influence of Vorticism and expressed the speed and vitality of the modern age.